Four foster kittens will have their first birthday on Sunday, July 4th. 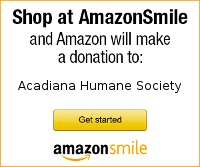 All four have been available for adoption through Acadiana Humane Society since they were small kittens. They had been born in the home of the family that rescued their pregnant mother. Once they were old enough to be weaned, they came to our rescue. We took them in on August 22, 2009. You can see a picture of Tenten taking a bath the day we got her by clicking here. Once they were old enough, we had them tested, vaccinated, and altered. There were three boys: Neji, Haku, and Lee; and one girl: Tenten. Once fully vetted and ready for adoption at just a few months old, Tenten went to Petco on Louisiana Avenue in Lafayette, LA in the adoption center. Her brothers stayed in the unfinished shelter in a large cage. On Saturdays, the boys would go to Petco for adoption events. Everyone commented on how beautiful the kittens were. But, no one adopted them. Due to lack of space in our foster homes, and a virus affecting only kittens in their original foster home, Tenten had no choice but to stay at Petco in the adoption center cage system, where she still sits today as I write this blog entry. Tenten has really gotten used to all the attention she gets from the Petco employees and the customers in the store. She even got used to dogs barking and sniffing near her cage during training classes. She really loves it at Petco. But, to those of us who know and love Tenten, we really wish she had a home of her own. Tomorrow, on Independence Day, Tenten will be one year old and she will have spent most of her life living in a pet store. It is our birthday wish for Tenten that she be adopted soon into a wonderful new home. 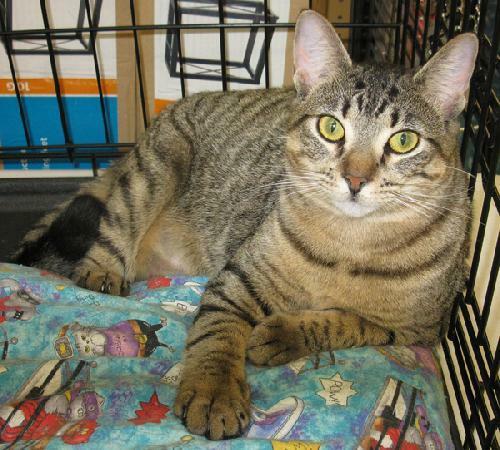 If you would like to meet Tenten, you can visit her at Petco which is located at 3215 Louisiana Ave in Lafayette. There are prescreening applications at Petco if you would like to fill one out while there. Or, you can download the application from our website by clicking here. Our cat adoption fee is $95.00. All cats are fully vetted and this adoption fee helps with our vet expenses.